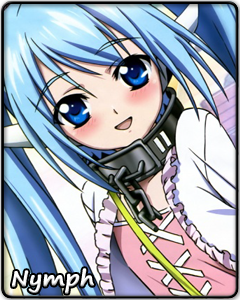 From the moment she was born, Nymph has had a chain around her neck which made her into her former master's plaything. She resented it, but clung to it – she knew no other way to live. The reward for her steadfast loyalty was never-ending cruelty at the hands of her merciless master. In the end, he made sure to remind her that she was nothing but trash as he disposed of her . From that moment on, Nymph's fate is decided. She tries to regain her master's favor even as the countdown to her destruction is about to end. What she doesn't expect, though, is that the humans she encounters on her way will show her things she has never been given before: love and gratitude. Fighting with the emotions blooming in her heart, Nymph attempts to disappear from their lives before her inevitable fate catches up with her. But can someone like her be so easily forgotten?